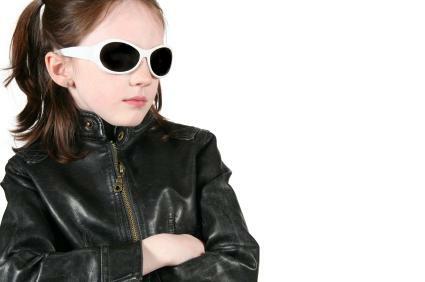 Leather jackets for kids are fun and trendy. Adding this item to any kid's closet is sure to be a hit. Whether you choose something in a classic style or something with an edge, a leather jacket can be worn with just about anything from jeans to a skirt. Leather jackets are not only stylish but are a durable and sensible option for well. Since they come in a range of styles and colors, you are sure to find one that matches your child's taste and personality. They can often be found in department stores and specialty children's boutiques during the fall and winter months and online year-round. Pink Biker Jacket: Sold at Leather Lollipop, this cute yet edgy pink jacket has plenty of zippers and a buckle at the bottom. It is priced under $100 and comes in sizes extra-small to three extra-large. Pink and Black Motorcycle Jacket: This unique jacket is priced under $60 and is done in soft black leather with a pink horizontal stripe. It has a front zip closure and comes in sizes extra-small to five-extra large. Ralph Lauren Leather Moto Jacket: This jacket comes in girls' sizes seven to 14. It is done in weathered brown leather and has a zippered front closure. In addition, this jacket has single snap cuff closures and metal grommets on the sleeve. It is priced around $500. Stylish Girls White Leather Jacket: This jacket is priced around $225 and is made from white lamb leather. It has zippered sleeves and a faux fur hood. It is lined with nylon. It come in sizes extra-small to large. Ralph Lauren Sierra Leather Jacket: This brown lambskin leather jacket comes in boys' sizes two to seven. It has a pointed collar and a front zip closure. This jacket is priced under $600. Armani Junior Leather Jacket: This stylish buffalo leather jacket comes in boys' sizes two to seven. It is done in a motorcycle style and has rib knit trim and a front zip closure. This jacket is fully lined and is priced around $500. Charming Kids Leather Jacket: This jacket comes in a range of colors such as black, brown, red, white and ivory. It features a full zipper front closure and knit ribbed cuff. This leather jacket is priced under $250 and comes in sizes extra-small to large. 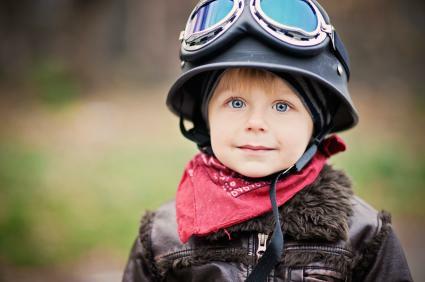 Leather jackets appeal to kids of all ages. They not only look cool but add a layer of warmth to any outfit. For the fashionable child who likes to wear the latest fashions, a leather jacket is a must.